At the Linley Processor Conference today, SiFive, the semiconductor company building chips around the Open RISC-V instruction set has announced the availability of a quadcore processor that runs Linux. We’ve seen RISC-V implementations before, and SiFive has already released silicon-based on the RISC-V ISA. These implementations are rather small, though, and this is the first implementation designed for more than simple embedded devices. This announcement introduces the SiFive U54-MC Coreplex, a true System on Chip that includes four 64-bit CPUs running at 1.5 GHz. This SoC is built with TSMC’s 28 nm process, and fits on a die about 30 mm². Availability will be on a development board sometime in early 2018, and if our expectations match the reality of SiFive’s previous offerings, you’ll be able to buy this Open SoC as a BGA package some months after that. For this week’s Hack Chat, we’re talking all about hardware games. What’s a hardware game? Anything where we use hardware, electronics, or code for user interaction. This is a vast, vast topic and there are a lot of tips and tricks that go into making a unified experience that’s both valuable and can stand up to the rigors of any crowd. For this Hack Chat, we’re going to be talking about integrating hardware into gaming, or turning the idea for a game into a reality with hardware. We’ll be discussing game design, hardware design for games (need to make it idiot-proof, after all), building communities, and educating others. Our Hack Chats are live community events on the Hackaday.io Hack Chat group messaging. 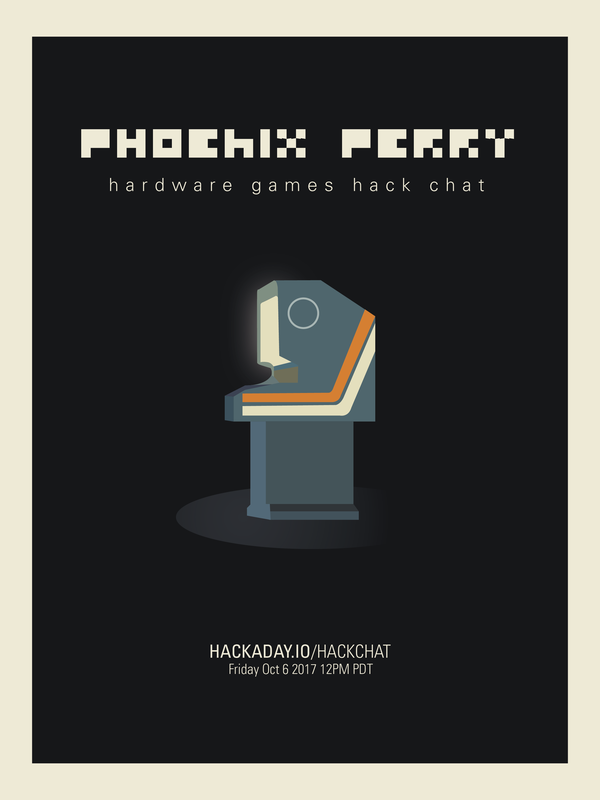 This Hack Chat will be going down noon, Pacific time on Friday, October 6th. Wondering why the Brits were the first to settle on a single time zone when the US had a more extensive rail network and the longitude so time zones made sense? Here’s a time zone converter! Use that to ponder the mysteries of the universe. Based on Arduino Mega 2560 with the RAMPS 1.4, it was a pretty standard and cheap option to get some years ago (and still is). My additional modifications or upgrades from the standard options was a LCD screen and the DRV8825 stepper drivers. What happened was that one fine day the prints started to skew. No matter how hard I tried, it skewed. I checked the driver’s potentiometer, I went back to the motor specifications, I swapped drivers around, and I even flashed another firmware. If the print was big enough, it will get messed up. Sometimes even small prints failed. When you are debugging something like this for hours, there comes a point in time that you start to suspect everything. Was it overheating the drivers? If so, why did this never happened before? Maybe the power supply is fluctuating and coming to the end of its life? Some messed up capacitor in the board? Was it RAMPS’ fault or Arduino? A motor starting to fail? A mechanical issue? I had a fine-tuned Marlin firmware that I manually tweaked and slightly changed, which I had no backup off after the flashing. In retrospect, I actually checked for a lot of things that couldn’t really be related to the problem back then but I also learned quite a lot.